Gran Turismo Sport (game, 2017). A racing video game by Sony Interactive Entertainment/SCEA. Developed by Polyphony Digital. Official Trailer. Gran Turismo Sport is a racing video game by Sony Interactive Entertainment and SCEA, developed by Polyphony Digital. 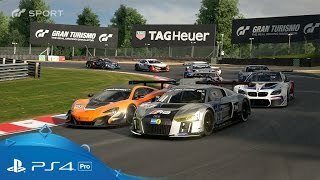 Gran Turismo Sport | PSX 2016 Trailer | PS4. Similar to its predecessors, Gran Turismo Sport is a racing game and includes two game modes: "Sports Mode" and "Arcade Mode". Online racing is also featured in the game. The game has been described as different from the "Prologue" titles seen in the past in the series and features more content. Unlike Gran Turismo 5 and Gran Turismo 6, the game does not feature dynamic weather system and day-night cycle. However, players still have the option to modify the race's time of day before entering the race. It includes 177 cars and 27 configurations of 19 locations to race on. For the first time in the series, the game features Porsche vehicles included in the game after Electronic Arts' licensing rights to the Porsche brand had expired (previous Gran Turismo games only included RUF as a substitute). Sport mode consists of three daily races that reset every week. Drivers are ranked by a DR (Driver Rating) and SR (Sportsmanship Rating). The highest level of driver being (DR) A+ (SR) S and the lowest being E E, there is a special S Driver Rating reserved for Star Players (Top 200 worldwide). There is also a Balance of Performance limit for cars in a certain category to keep the racing fair. Two championships will be held simultaneously throughout the year: the Nations Cup, where players represent their country, and the Manufacturers Cup, where players represent their favorite car manufacturer. The FIA manages the series directly as they would with any of their other race series. The winners of the championships will be honored at the FIA's annual prize-giving ceremony in Paris. Similar to its predecessors, Gran Turismo Sport is a racing game and includes two game modes: "Sports Mode" and "Arcade Mode". Online racing is also featured in the game. The game has been described as different from the "Prologue" titles seen in the past in the series and features more content. Unlike Gran Turismo 5 and Gran Turismo 6, the game does not feature dynamic weather system and day-night cycle. However, players still have the option to modify the race's time of day before entering the race. It includes 177 cars and 27 configurations of 19 locations to race on. For the first time in the series, the game features Porsche vehicles included in the game after Electronic Arts had lost their exclusive licensing rights to the Porsche brand (previous Gran Turismo games only included RUF as a substitute). 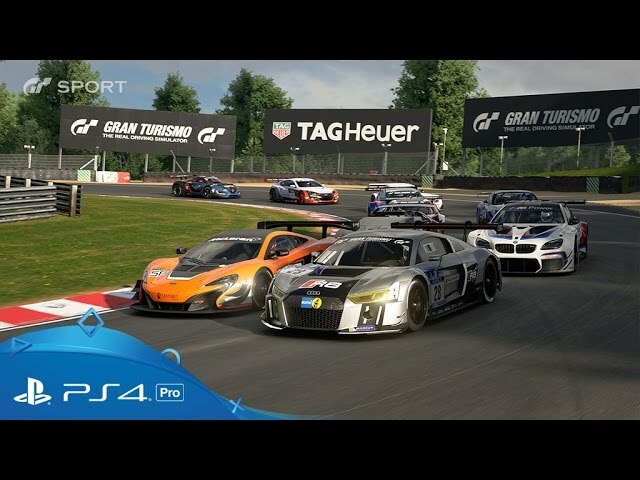 Gran Turismo Sport was scheduled to be released by Sony Interactive Entertainment and SCEA on October 17, 2017, on October 18, 2017 and on October 19, 2017.